Imagine the terror and grief of losing your home, livelihood, friends and family, in a few devastating minutes. This is the reality for those hit by the 7.4 magnitude earthquake, tsunami and volcano that devastated the Indonesian island of Sulawesi. Now with houses destroyed and aftershocks continuing, thousands of families are displaced and struggling to survive. UNHCR, the UN Refugee Agency, is planning to airlift family tents and shelters to help protect thousands of people. 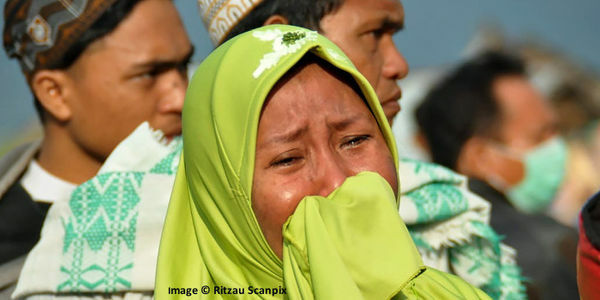 This tragedy comes while disaster operations are ongoing in Lombok, Indonesia where over 340,000 people are still staying in camps after an earlier series of earthquakes this past August. As an American, I believe we must help people in their time of greatest need. I believe that people who lost their homes to natural disasters or violence and persecution should have a safe place to live and build a better future. I stand with the UN Refugee Agency in its mission to reach everyone in need with lifesaving aid and protection. But without enough support, food and assistance will be reduced or will not reach people driven from their homes.